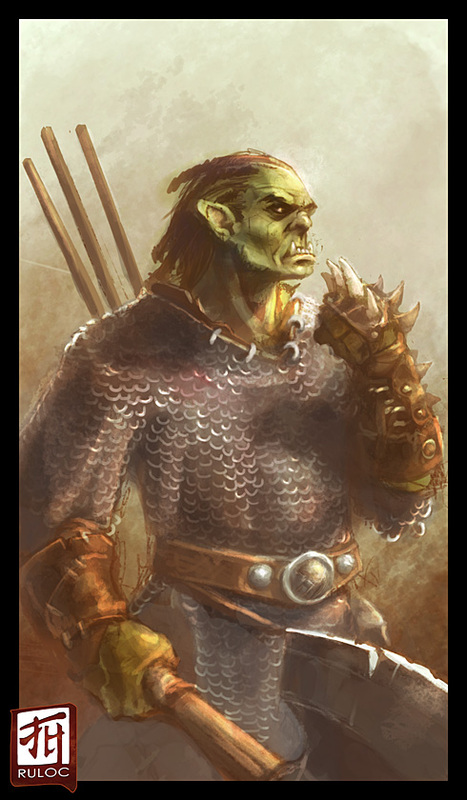 Half Orc male barbarian/cleric of Gorum, wearing chain shirt over simple and tattered/ragged clothing; rough and savage looking, almost feral in features - more orc than human blood in his veins. 6' tall and over 250 pounds in weight. Equipped with two handed waraxe, a spiked gauntlet (spikes are made from wolf/beast fangs) on his left hand, and three spears as ranged weapons.